The growth of Singapore card payments market is driven by the growing e-commerce industry, growing tourism, rising disposable income, new product launches and growth in retail sector. High internet penetration in the country is expected to encourage online sales, which is expected to contribute to the growth of card payments market in Singapore. The Singapore cards and payments market databook includes market size and forecast for the period 2010 to 2020 in terms of number of cards, value and volume of transactions processed through these cards. The databook also includes competitive landscape (card issuers in the country) for both debit cards and credit cards. In Singapore, the total number of cards reached 21.2 million by the end of 2014. With the total population of the country reaching 5.5 million, the card penetration was 3.9 cards per person in 2014. The high card penetration was due to the culture of holding multiple card products and banks aggressive marketing strategies. The growth in e-commerce market is an important factor that will lead to the development of the card payments market in Singapore. E-commerce is benefiting from the growing middle-class population in the country. Credit cards and debit cards dominate the online shopping segment by providing promotional offers including discounts, coupons and free shipping. The benefits offered by online retail, such as low cost and high convenience, are expected to draw more customers and are expected to increase the demand for card transactions. The positive growth prospects of e-commerce are expected to encourage growth in the credit and debit card segments. Credit cards are primarily used by customers at POS terminals for retail purchases, rather than for cash withdrawals at ATMs. In 2014, the value of transactions at POS terminals accounted for 95.7% of total credit card transactions in Singapore. Banks and card issuers target various customer groups, such as retail and corporate clients and specific customer segments, to offer card products. Within credit card category, issuers target corporate customers, frequent travelers and female customers. While in debit card category, issuers target public transport users, regular account holders, and frequent shoppers. 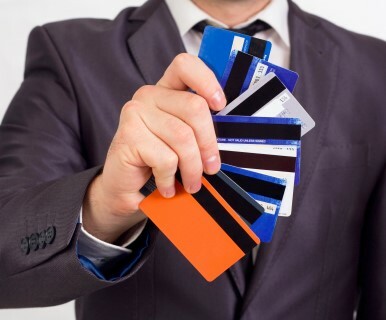 In the charge card segment, banks target high net-worth individuals and corporate customers. Some of the key players in the debit cards market include DBS Bank, United Overseas Bank, Oversea-Chinese Banking Corporation Ltd, Citibank and Standard Chartered Bank. By scheme, the number of debit cards in circulation was dominated by NETS with market share of 79% in 2014. NETS is an online debit payment system, jointly owned by DBS Bank, OCBC Bank and United Oversea Bank. DBS Bank was the leading bank in terms of the number of debit cards in 2014, accounting for 48% of the total number of debit cards. In Singapore card payments market, the competition among credit cards issuers was intense to encourage card usage and spend. Credit card issuing banks implemented various marketing strategies and numerous campaigns to attract consumers. Some of the key players in the credit cards market include DBS Bank, United Overseas Bank and Citibank. In terms of number of credit cards in circulation, United Overseas Bank Ltd was the leading bank with a market share of 22.5% in 2014. Whereas, the leading scheme providers in the credit card segment were American Express, Visa and MasterCard. The charge cards segment increased at a CAGR of 10.6% during the period 2010 to 2014, with the number of cards in circulation increasing from 299,000 in 2010 to 447,000 in 2014. The charge card segment is expected to grow at a CAGR of 9% over the period 2015 to 2020. The charge card segment represents a small portion of pay later card market, but it is expected to gain momentum due to growth in the volume of high net worth individuals during the period 2015 to 2020.